Jette Creative is a Southern California full service design group that specializes in interior design and custom furniture for retail, restaurant, commercial, and residential spaces. From ground up design and large scale renovations to smaller projects to freshen up a space, Jette Creative prides itself on our designers’ ability to marry client needs and vision with architectural integrity. The goal is to curate a warm, inviting, livable space that captures a timeless, sustainable aesthetic while honoring the identity of the building as well as the client. With a strong industry network, Jette is able to source the newest materials, goods and furniture for each of our projects, in addition to relationships with the field’s most knowledgeable and dependable craftspeople. Having worked on both acclaimed historical homes and projects boasting compelling modern architecture, the Jette Creative design team has been featured in countless publication both online and in print, including Architectural Digest, Dwell, My Domaine, Orange Coast Magazine, Luxe Magazine, Design Sponge, Gray Magazine and many others. Jette is proud to give back to the community through architecture and design. A member of the 1% Organization, we’re able to provide pro-bono services to non-profit organizations in our community. With nearly two decades in creative design, Jesse has long cultivated and nurtured her passion for architecture and interiors. 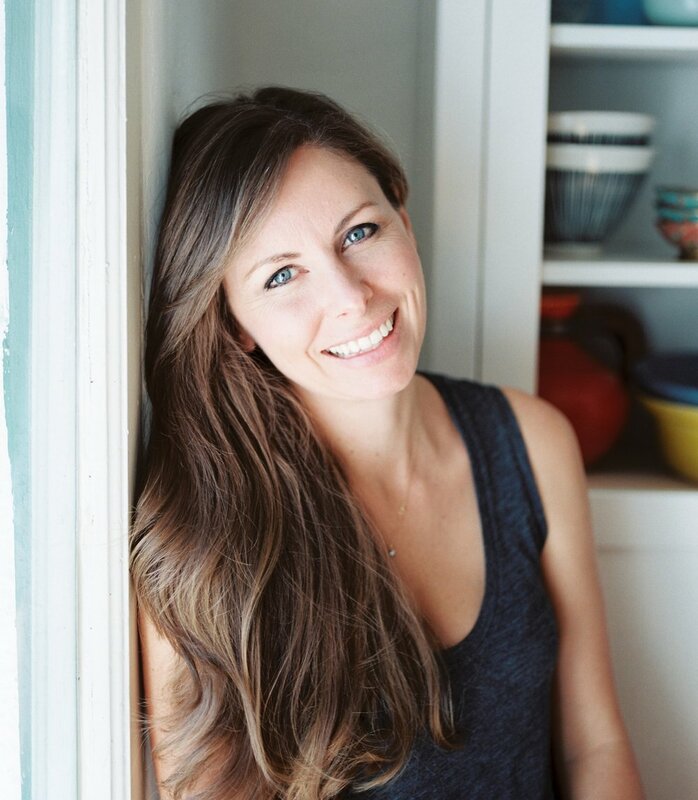 The Southern California native began her career as an apprentice to Jessica Helgerson in Santa Barbara at just 17-years-old, before earning a BFA in Interior Architecture from Long Beach State University. Her comprehensive portfolio showcases her work with some of the world’s most renowned architects, artists and designers, including Cliff May, Richard Neutra, John Lautner, and William Werster. Jesse has a soft spot for historic buildings—currently calling an historically registered Ole Hanson home—and is committed to respecting the integrity of each property in her care. Raised the daughter of an architect/builder/artist, Jesse is devoted to finding a creative balance to both honor the design of a structure, as well as developing a space that meets the needs and wishes of each client. Her services extend, to hear her tell, “from ground up structural design to selecting throw pillows.” As a designer, she’s devoted to seeing the process through to completion alongside her clients. Jesse is a student of history and an avid traveler; she finds inspiration and influence in both new and old world ideologies and cultures, while understanding the need for practicality and function. She currently lives in San Clemente with her husband Mike and their son Enzo, as well as her friend and officemate Coco (a French Bulldog). Emilia is a recent graduate from the California State University of Long Beach with a Bachelor’s of Fine Arts in Interior Design and Minor in Business Entrepreneurship. By integrating her artistic major with a foundation in entrepreneurship, her skills in design are supplemented by a healthy knowledge of marketing and business. Since graduating, she has had over a year of design exploration. Working for boutique interior design firms in both Long Beach and her hometown of Sacramento, California has helped shape her abilities to manage small projects, as well as strengthen her design aesthetic. Still itching for adventure, Emilia later found herself gaining invaluable experience at Ibuku Luxury Bamboo Design in Bali, Indonesia. Emilia finds much of her design inspiration in nature, sustainability, and the ability to evoke feeling in a room. Her firm belief that each project should be treated with individualized attention leads her design philosophy and concepts. Outside of work, Emilia enjoys traveling, perusing Pinterest, happy hour with friends, and spending time with her big Italian family. Devon is the newest member of the Jette Creative team, taking on the role of Office Manager. Devon handles a wide range of administrative capabilities and is especially creative with her bright ideas on how to enhance different elements of our design studio. Her multi-tasking talents allow her to manage organizational and marketing matters at Jette with ease and grace. A graduate of the University of Oregon, Devon worked in corporate recruiting before joining Jette Creative. While growing up in Northern California, Devon volunteered her time and talents creating fresh spaces for young people and families, putting her talents to work on interior makeovers of the local teen center and family resource center. Her deep-seated passion for interior design inspired her to transition into the creative field where she feels most at home. On her days off, you can find Devon down at the beach, bike riding with friends, or planning her next adventure. Candice Nobel balances out the Jette Creative team as one of the account managers. She works closely with the designers and takes on many of the administrative tasks necessary for each project to be successful. Over the last 9 years, Candice has worked for designers all over the Western United States. With her extensive corporate business experience, she has managed projects and funds from concept to final installation. In doing so, she has acquired her own love for the industry as she has found her niche on the business side allowing the designers to stay creative and inspired. Candice is a mother of two and enjoys spending time with her family as often as possible. Growing up, she created a tradition of vacationing in Mexico with her many brothers and sisters. Her family continues the tradition to this day. Jade Hererra recently joined the Jette Creative team as a secondary account manager. For the past 15 years, she was a key part of an executive team specializing in human resource management and payroll for a nationwide inc 500 company. Her expertise and enthusiasm has helped projects run smoothly and efficiently from start to finish. Since working for Jette Creative, Jade has been inspired to redesign parts of her own home. Interior design is not far from her favorite pastimes, as she enjoys sewing, photography and graphic design when not account managing. Jade also lives with her family in Southern California. You can find Jade either traveling or watching her children play sports on the weekends.